When passing hors d&apos;oeuvres at a cocktail party, it&apos;s not unusual for someone to say "go on, take two." 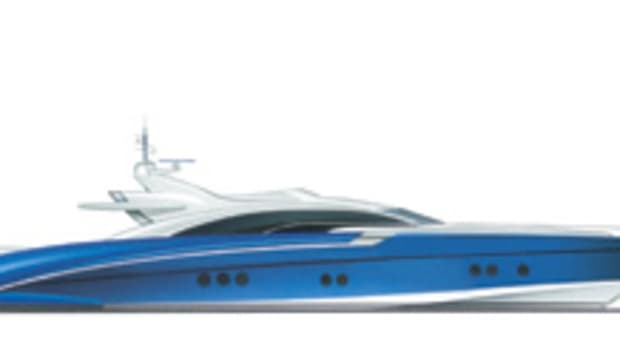 But it&apos;s a different story when the subject is a 147-foot motoryacht. 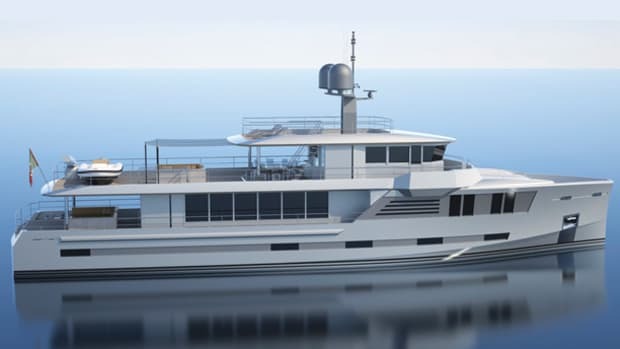 That was the essence of a conversation between yacht builder Guillaume Roch and businessman Herbert Baum that led to the formation of Sunrise Yachts. 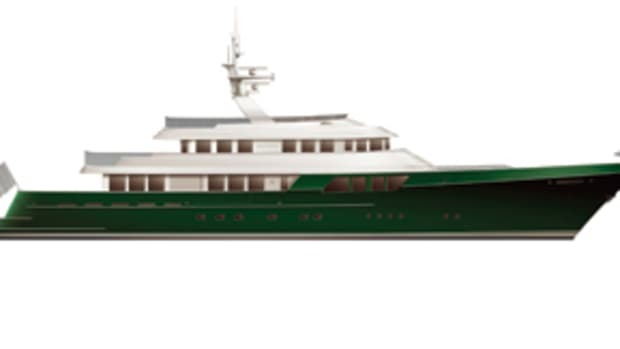 Baum had asked Roch the best way to build the yacht they had been discussing, and Roch said, "Build two," to which Baum replied, "Then that&apos;s what we&apos;ll do." Oh, and build an 8,500-square-meter (about 91,500-square-foot) facility in the Antalya Free Zone in southern Turkey. 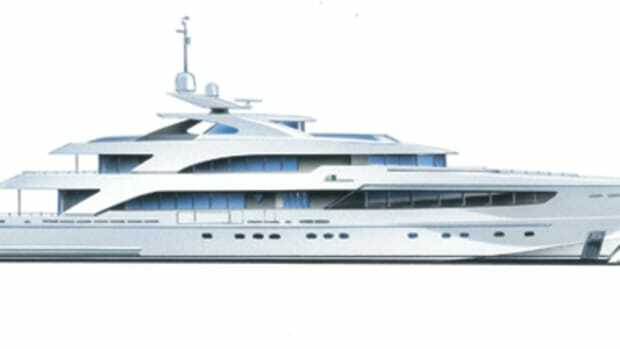 The Sunrise 45-meter is a long-range, full-displacement yacht offering luxury and accommodation for 12 guests. Conservatively powered, with a prodigious fuel capacity, she offers a trans-Pacific cruising range of 5,000 nautical miles at 12 knots, or the possibility of logging an entire summer of coastal voyaging without having to call at a fuel dock. For comfort, she&apos;s equipped with electric/hydraulic, gyro-controlled fin stabilizers. Her systems include a class-approved power-management and monitoring system and the latest technologies for antivibration, acoustic, and thermal insulation and isolation. 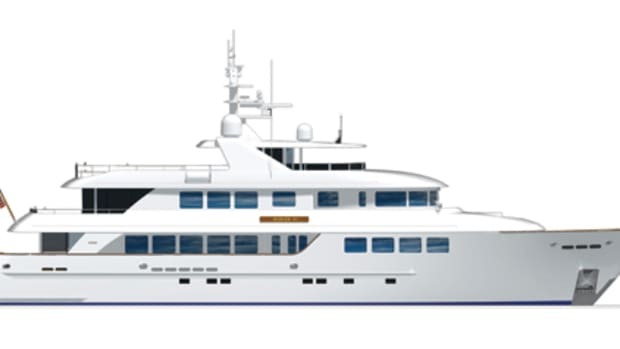 She has an air-conditioned control room and a double-insulated generator room that should keep her whisper quiet at anchor or dockside. On the lower deck four double staterooms surround a center lobby equipped with a &apos;fridge and an icemaker to make it easy to grab late-night refreshments. 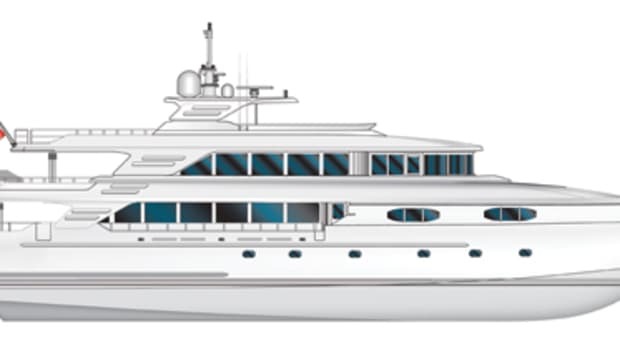 Forward on the main deck is a palatial master suite with a separate office, an oversize walk-in closet, and a full-beam head. Dining and entertainment spaces on the main and upper decks are notable for their spacious, airy, understated decor. The sun deck offers another guest dining area served by an outdoor barbeque as well as a pantry and food lift from the galley. There&apos;s also a six-person hot tub surrounded by a sunpad, a variety of seating and sunning areas, and a wet bar. 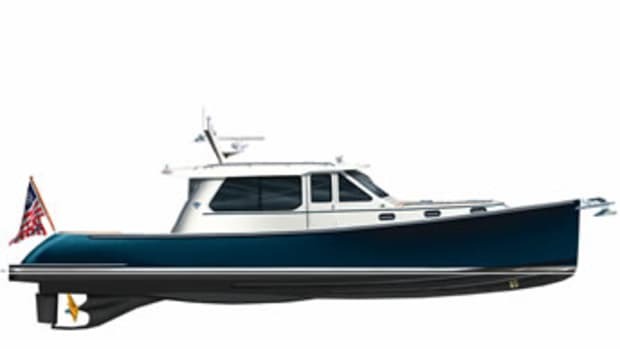 Watertoys include a 20-foot tender and a pair of PWCs that stow in a transom garage, and a 16-foot tender nestled behind oversized bulwarks forward on the main deck. 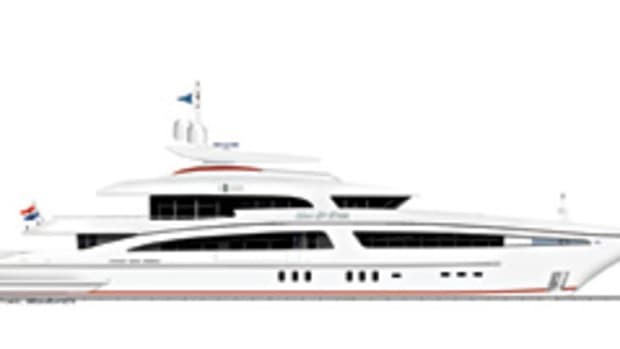 For more information on Sunrise Yachts, including contact information, click here.